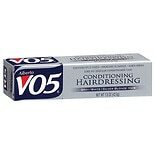 Shop VO5 Conditioning Hairdressing Gray (1.5 oz. )1.5 oz. $549$5 and 49 cents$3.66 / oz. 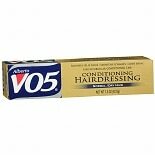 Shop Alberto VO5 Conditioning Hairdressing for Normal/ Dry Hair (1.5 oz. )1.5 oz.